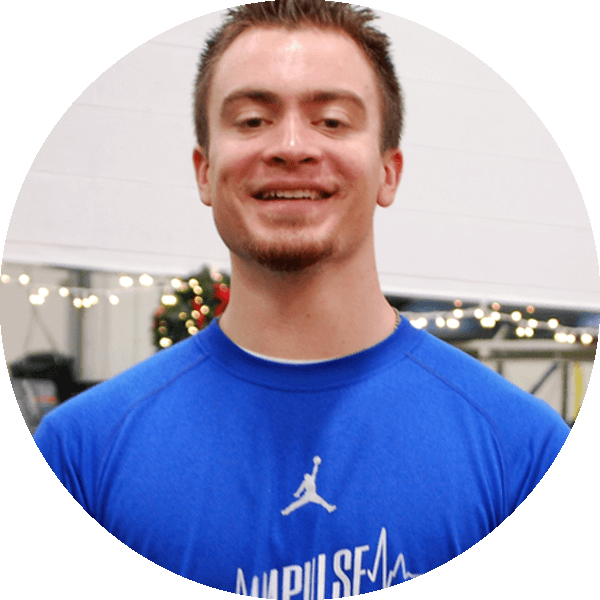 Travis is a certified personal trainer through the National Academy of Sports Medicine (NASM). He started his journey at Impulse as an intern in 2014, and he has fallen in love with the positive culture at Impulse. Along with his CPT certification, Travis also earned his Corrective Exercise Specialist certification through NASM. Travis is an avid slow-pitch player and loves to help previous athletes get back to their prime. He enjoys working with clients and helping them to progress to the next level of fitness and wellness by tapping into their hidden strengths.